Installing UltraCon fasteners is much faster & easier when using one of Elco’s installation tools. • Drill hole with specially sized UltraCon masonry drill bit. Proper drill bit diameter is critical for proper fastener performance. 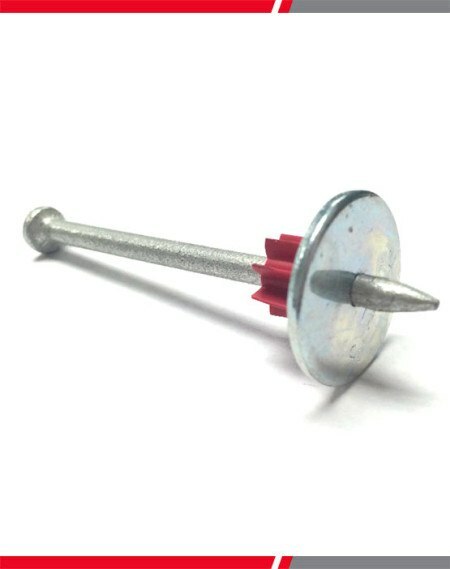 Drill hole a minimum ¼” deeper than fastener length to prevent fastener from bottoming-out. 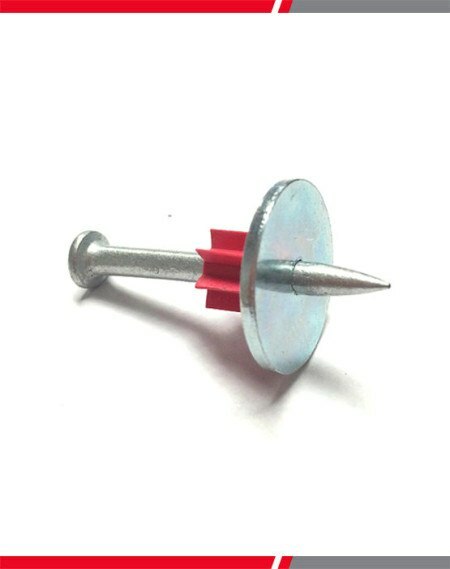 • Slide the sleeve of the installation tool in use over the drill bit, locking it onto the drill bit adapter. 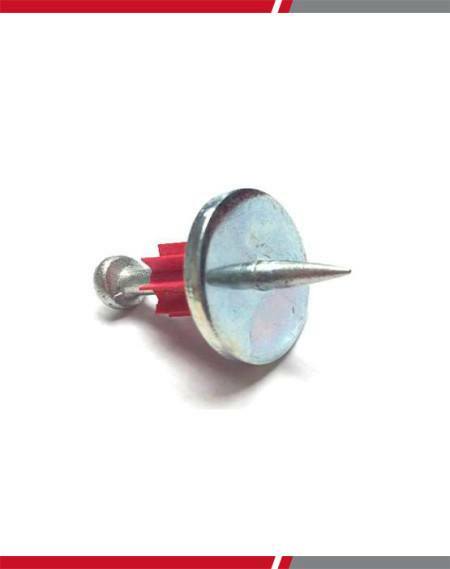 • Drive fastener. The drive socket in use will automatically disengage the fastener when seated. 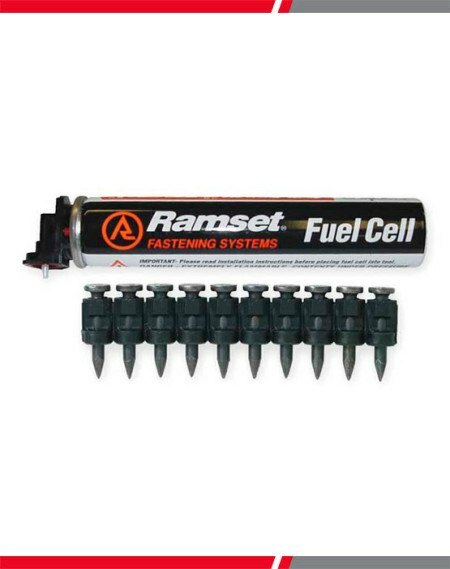 Package includes 1 fuel cell containing flammable liquefied gas. • Do not store above 120 F (49 C). • Keep away from heat sources, sparks or open flame. • Do not crush or puncture carton. • Do not store in rooms used for human habitation or in passage to these rooms. 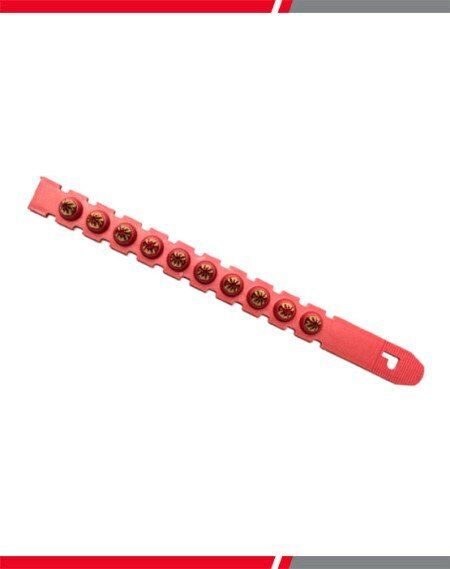 27 Caliber safety strip loads for use in powers fasteners models R3500, Ramset Model SA270, and Hilti Models DX36M, DX350 and DX451 Tools. Power level 4. Discharging powder actuated tools in poorly ventilated areas, cleaning powder actuated tools, or handling powder loads may result in exposure to lead, a substance known to cause birth defects, reproductive harm, and other serious physical injury. Have adequate ventilation at all times. Wash hands thoroughly after exposure. For all powers products, operators and bystanders should always wear eye, hearing, and other appropriate protection as required. 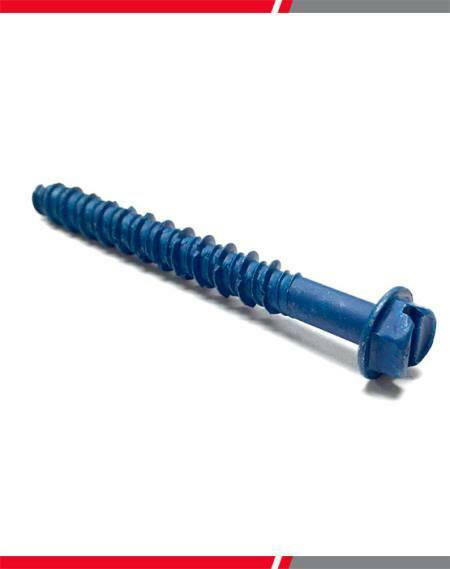 Read and follow the installation procedures for the specific fastening product used. Powder pin and load selection guide. • With 7/8” Washer. 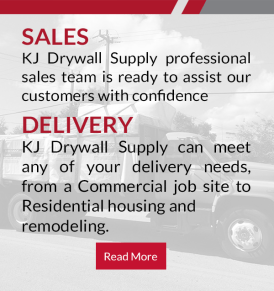 • Furring Strip & Plywood to Concrete & Block. For all powers products, operators and bystanders should always wear eye, hearing, and other appropriate protection as required. 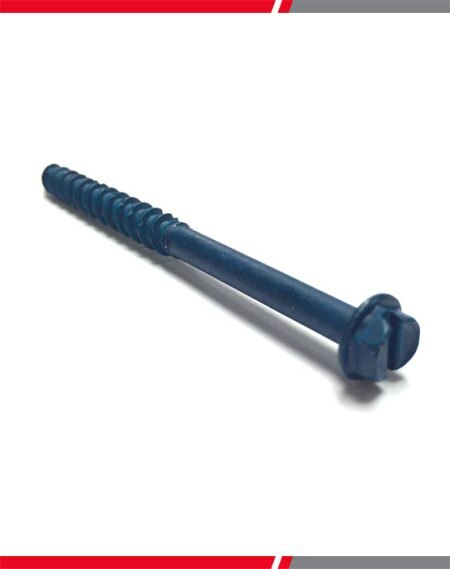 Read and follow the installation procedures for the specific fastening product used. 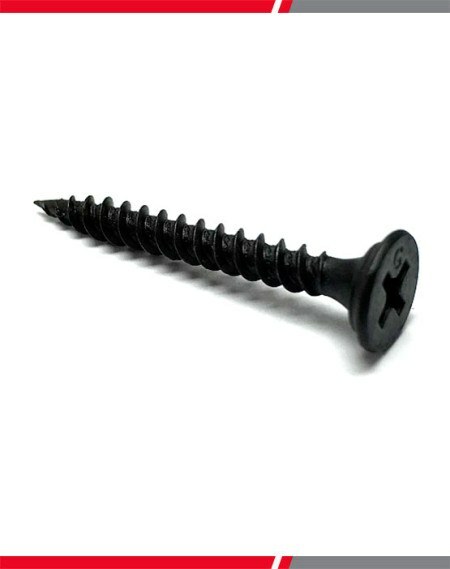 Grabber's drywall screws are used to attach drywall or sheetrock to wooden studs. 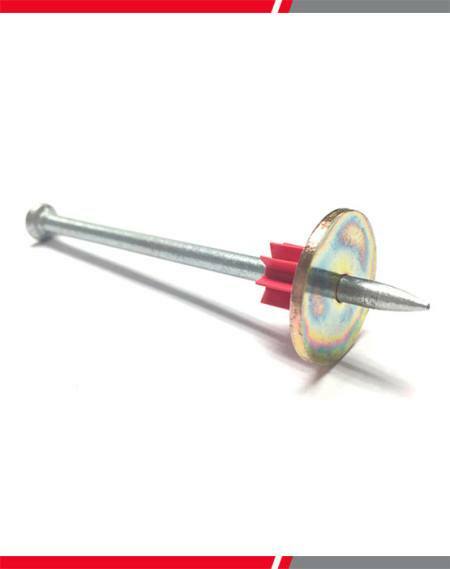 The sharp point pierces drywall and the sharp bugle head tapers down to prevent the tearing of drywalls paper cover. The spaced threads make driving through the material and wood simple. 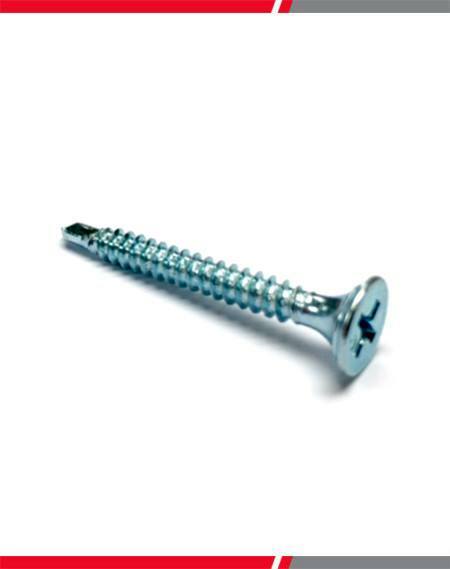 Comes in various lengths and finishes offering some corrosion protection. Whether you're working in wood, masonry, sheet metal or plastic, the SPAX #6 x 1-1/4 in. 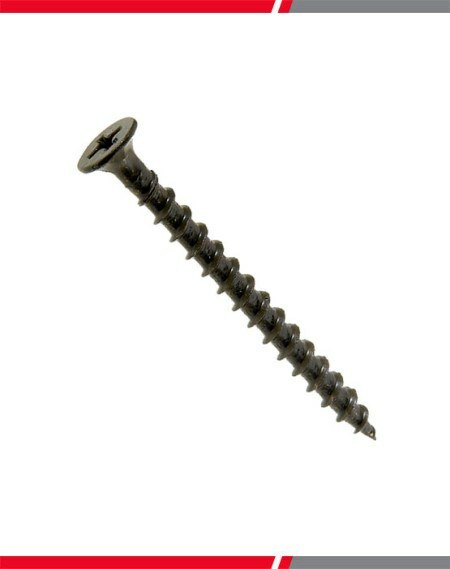 Coarse Yellow Zinc Flat-Head Philips Square Wood Screws (35-Pack) are ideal for what you need. They are designed to prevent wood from splitting. 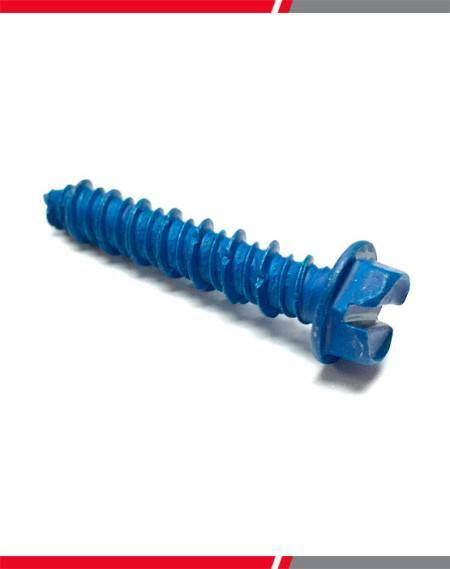 The power ring head drywall screws with Overbuilt brand are ideally used to attached indoor drywall application, power ring design under the head can flatten paper from smooth surface and reduce finish time, larger diameter enhanced the torque and not break easily when drill the board.